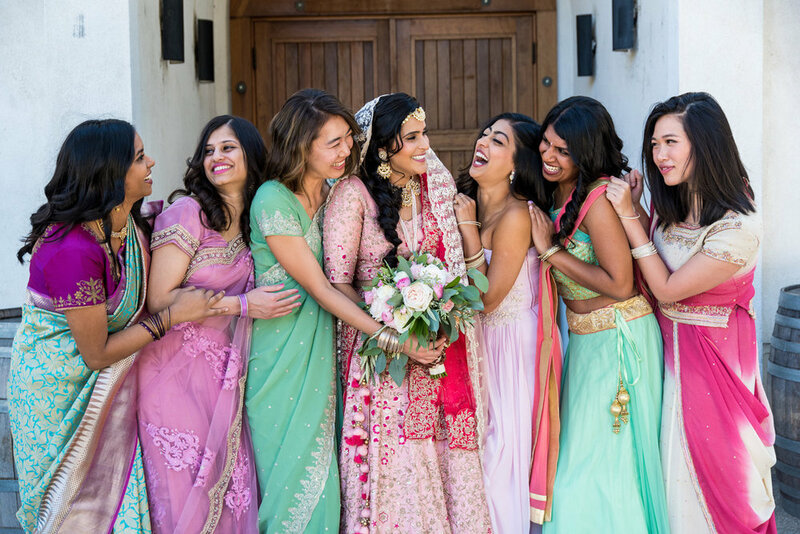 It couldn't have been a more perfect California autumn day for this outdoor Indian wedding at Wente Vineyards. Bright colors, sparkling sunshine and beautiful flowers filled the entire day. The lovely bride wore a traditional Indian Sari while carrying a Boho styled bridal bouquet of garden roses, tea rose, ranunculus and assorted greenery. Guest were welcomed into the outdoor ceremony space by entering under an arbor decorated with magenta, blush, and white flowers. Wine barrels held low full arrangements of hydrangea, roses, stock, and greenery. 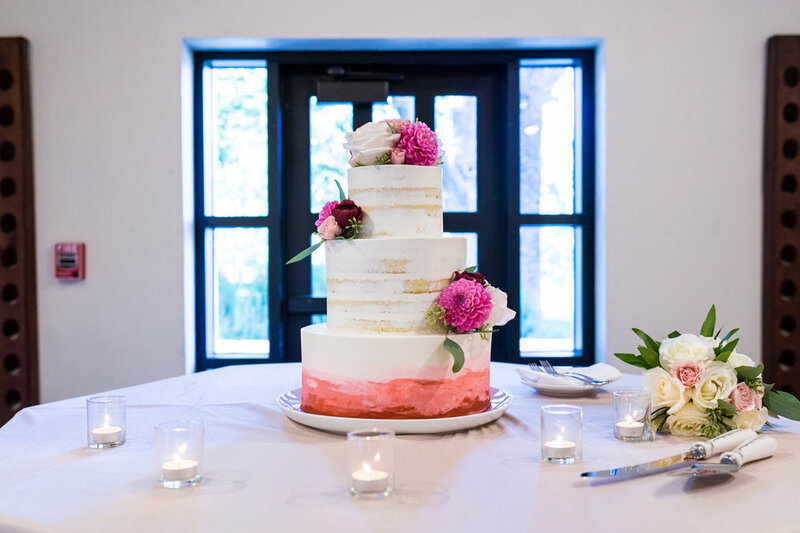 The Indian Mundap from Pleasanton Rentals was covered in branches, roses, dahlias, tea roses, and carnation, in whites, blush, and magenta. 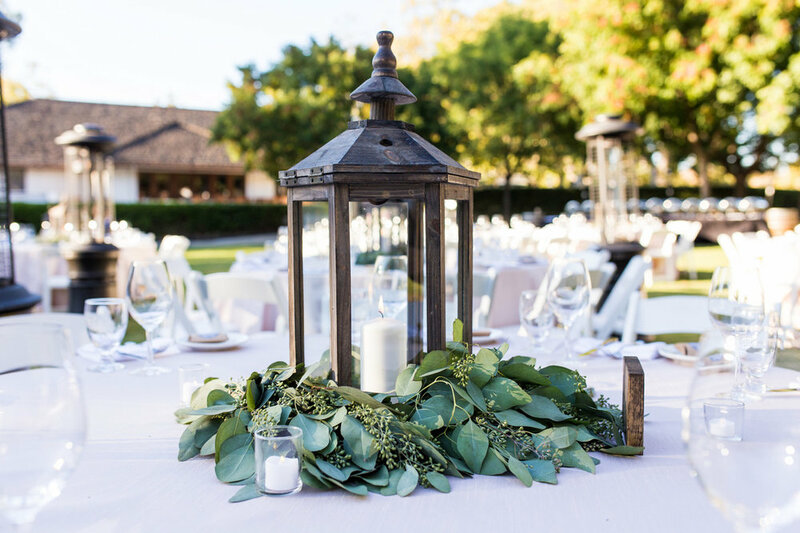 The guest tables had lanterns surrounded by eucalyptus garland. The sweetheart table look stunning with Fantasy Sound's wood initial wall with garland and flower clusters. The table was decorated with garland, tucked in flowers, and re-purposed the brides bouquet in vase. The entire event was captured by Fusion Moments.